Jobs in San Francisco | Cummings Moving Co. So you are wondering about jobs in San Francisco, where to find them and how to land one? We would love to help! Let’s start by looking at some of the obvious places to look. According to the State of California, the unemployment figure in San Francisco stands at an impressive 4.4% – And according an article in SFgate, there are plenty of jobs to be had thanks to the continuing tech and manufacturing booms. As we out-pace Silicon Valley when it comes to job creation, hot topics like housing, traffic and the cost of living are on the tip of everyone’s tongue. For those looking for jobs in San Francisco, it is an exciting time! This is a FAST-moving market! Fast moving jobs, fast moving real estate, fast moving Everything! Take a look at Heather’s wonderful article about the nature of jobs in San Francisco. 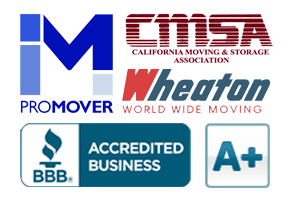 And when you are ready to make the move to San Francisco, from anywhere in the state of California or across the country, we hope you will contact Cummings Moving Company for a Free Moving Quote or call us at 415-387-4000.